Velkommen Jul is an annual celebration at Augsburg, presented by the Augsburg Associates, to welcome the Advent and Christmas seasons. 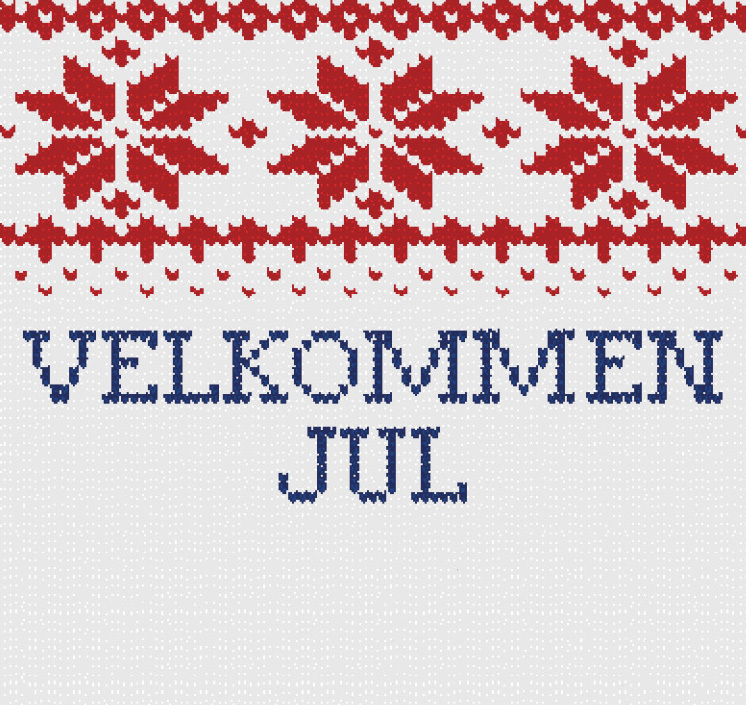 Join us in the chapel for our annual Velkommen Jul service – A Scandinavian Christmas Celebration – on Friday, December 2, at 10:40am, in Hoversten Chapel. 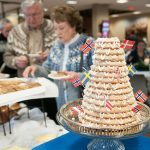 We welcome Nordic musicians Erik Rydvall and Olav Luksengård Mjelva, who play traditional Scandinavian instruments in new ways. We will also sing Swedish, Danish, and Norwegian carols together. 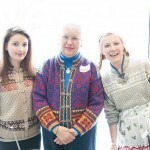 Wear your Norwegian sweater and join the fun! 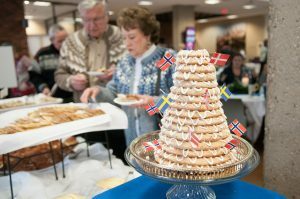 At 11 a.m., join a festive celebration in the Commons with Scandinavian treats, including lefse, krumkake, and coffee, prepared by the Augsburg Associates. Shop the boutique in the Christensen Center lobby for unique gifts and goodies. 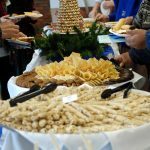 All proceeds benefit student scholarships, and donations are accepted at the buffet by Augsburg Associates holding gift baskets. Continue the celebration by attending the Advent Vespers worship service on Friday evening at 5 p.m. or 8 p.m., or one of three services on Saturday, December 3. 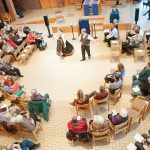 See more information about Advent Vespers and reserve your seating envelope. 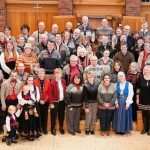 Special musicians from Norwegians will join the Augsburg community for Chapel, as will traditional dancing. 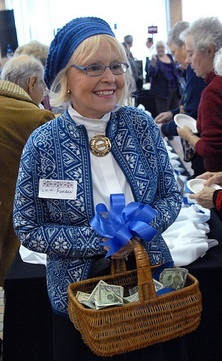 The Augsburg Associates don Scandinavian sweaters and collect donations for the Christensen Scholars. 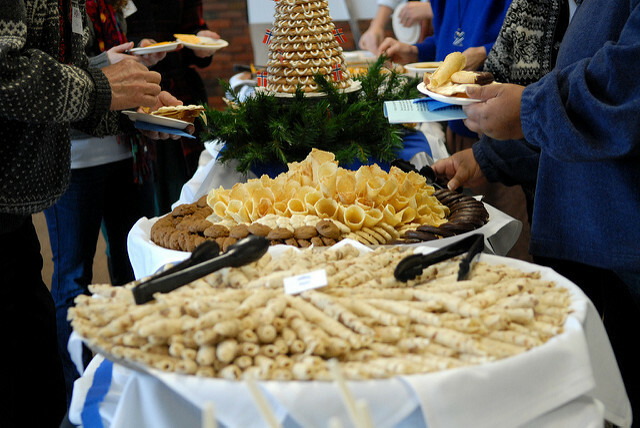 The Associates work tirelessly to bring a beautiful buffet to the Augsburg community. Past Augsburg Associates’ president Lennore Bevis ’66 with Christensen Scholars, whose scholarships are funded by the Associates. 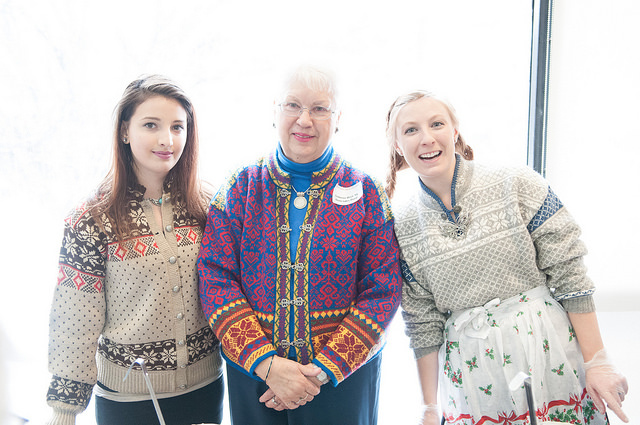 You might know Lee (Dyrud) Furman ’61 from her time teaching in the social work department at Augsburg, or you might recognize her as one of the delightful Augsburg Associates dressed up in a bunad or traditional Norwegian costume at Velkommen Jul each year. 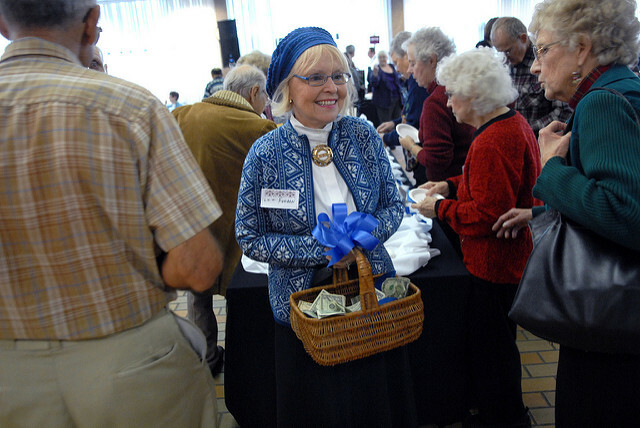 She’s also the recipient of an Augsburg Distinguished Alumni Award in 1989. Furman is among the many fantastic Associates volunteers you will see if you stop by campus on Friday, Dec. 5. 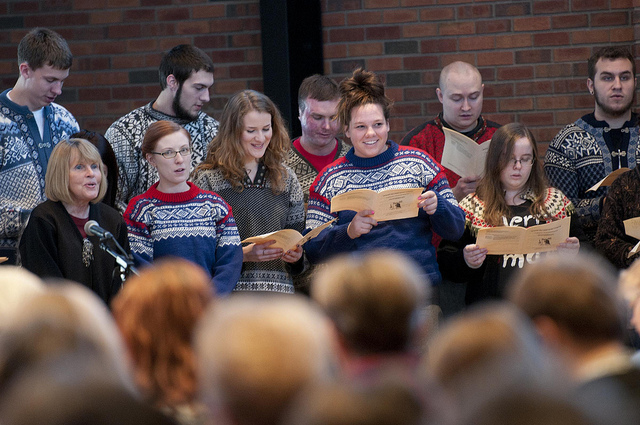 Velkommen Jul begins with chapel service at 10:40 a.m. and moves to the Christensen Center from 11 a.m. to 2 p.m.
We like to think of Velkommen Jul at Augsburg College as the largest gathering of Norwegian sweaters in Minnesota. This traditional festival to usher in the Christmas season brings campus together around a lovely, historic tradition that features Scandinavian yuletide music, tasty treats including krumkake and lefse, Norwegian bunads, a bake sale of holiday goodies, and a visit from St. Nicholas during chapel. 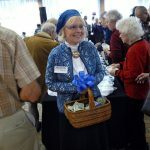 Donations are accepted and welcomed in support of student scholarships. 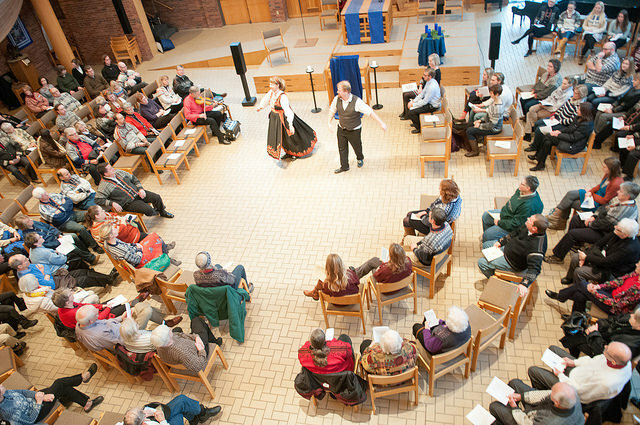 We love gathering together each year for this event that welcomes students from all backgrounds and faiths into long-cherished Augsburg traditions. But as we all know, these beautiful, long-wearing sweaters are not inexpensive. Here is where you can help! 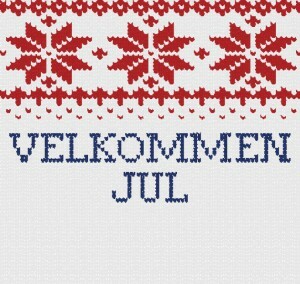 Please consider donating any older or unworn Norwegian sweaters for our students to wear for this wonderful event and throughout the Christmas season. Sweaters must be clean and in reasonably good condition. 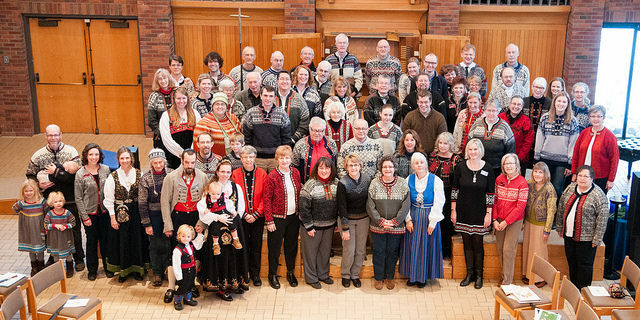 No matter who you are or your background, let’s share the wealth of Norwegian sweaters that is so proudly displayed here in Minnesota winters.